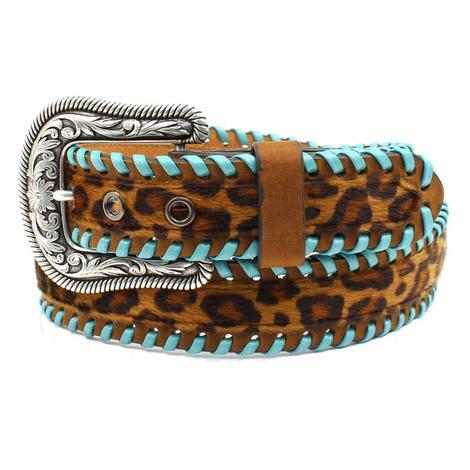 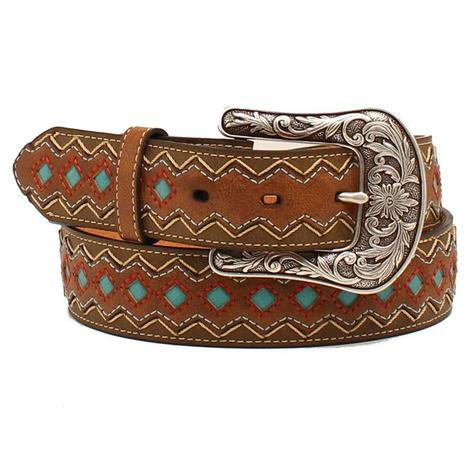 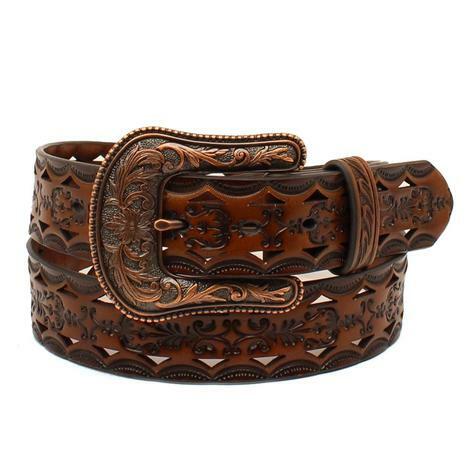 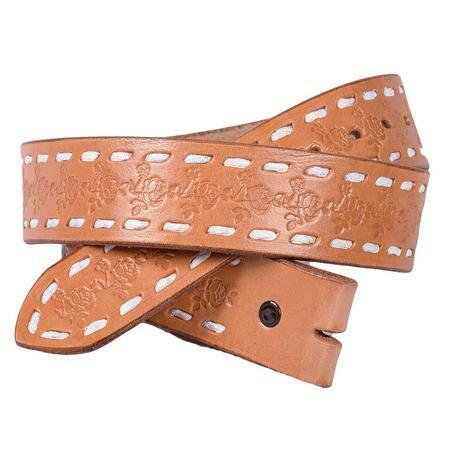 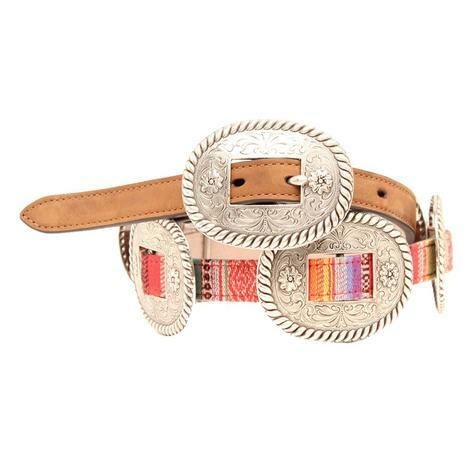 This women's Nocona belt has a modern design with a floral overlay pattern and contrasting underlay color. 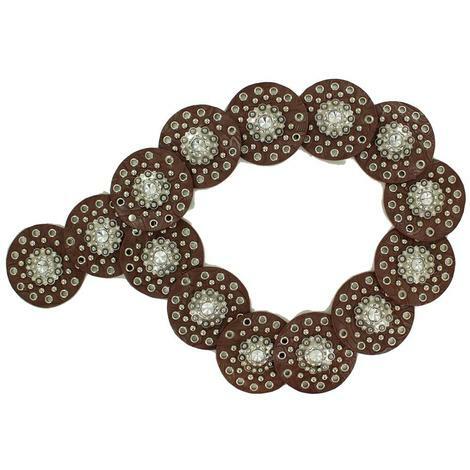 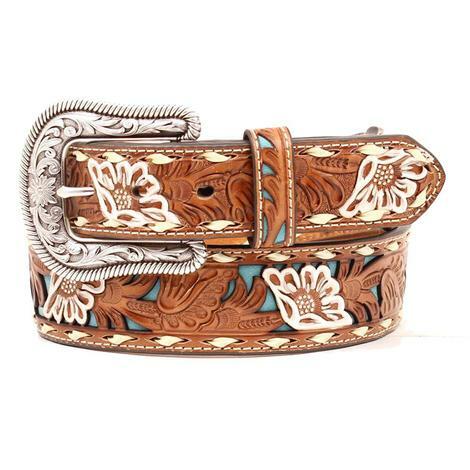 The white painted flowers finishes out this great looking belt. 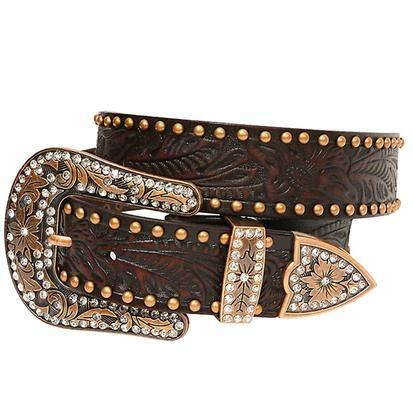 Comes with a decorative removable buckle. 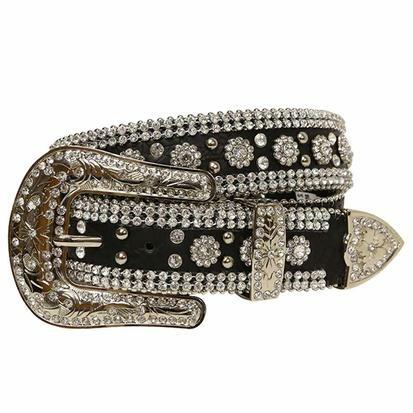 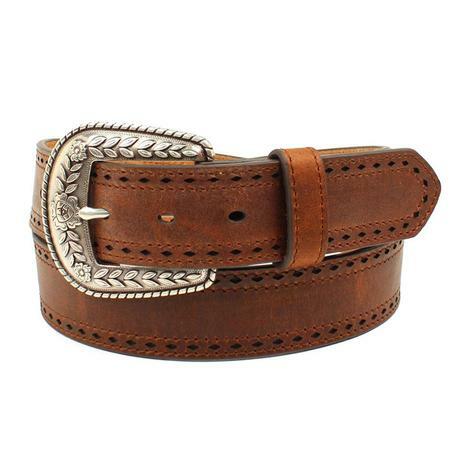 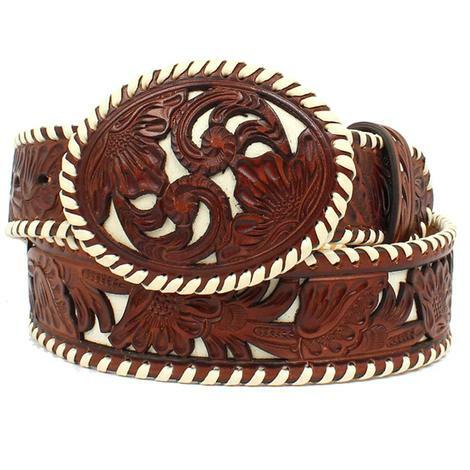 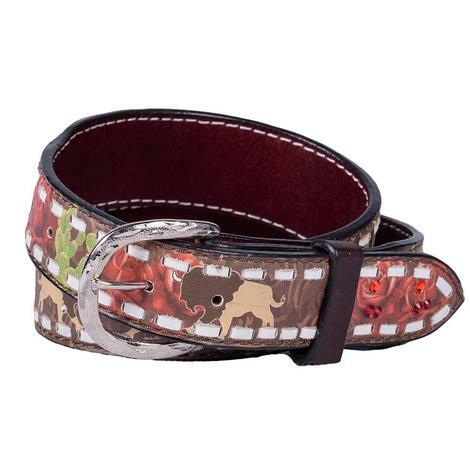 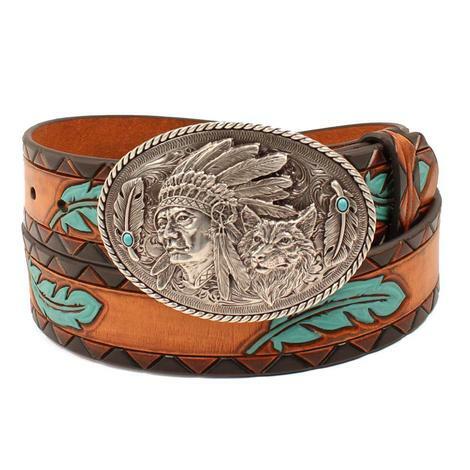 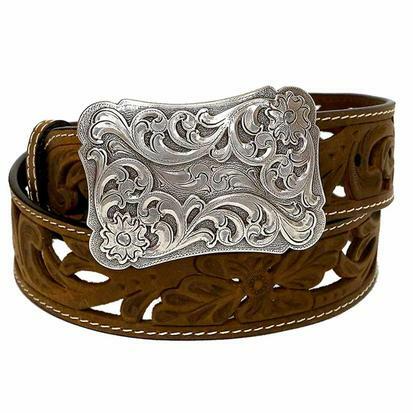 This beautiful belt has rose buffalo and cactus images that definitrly stands out and makes a statement. 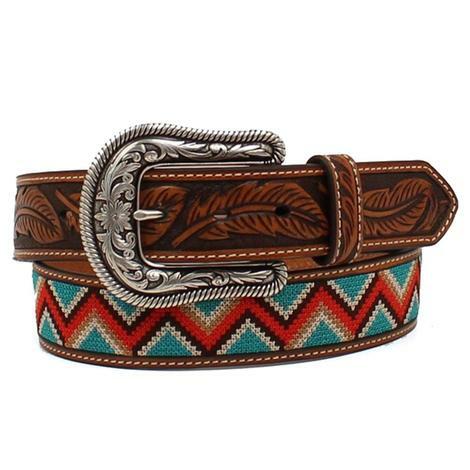 Add this one to your collection today! 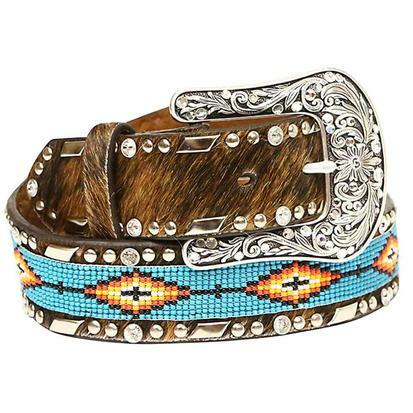 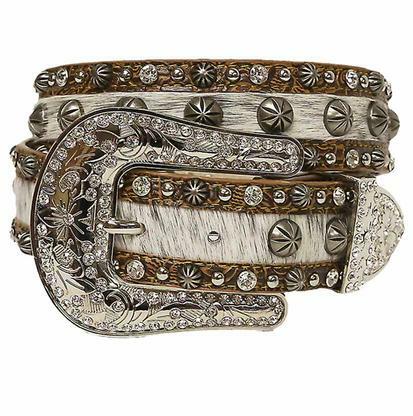 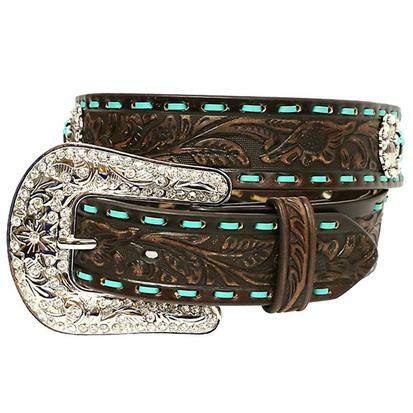 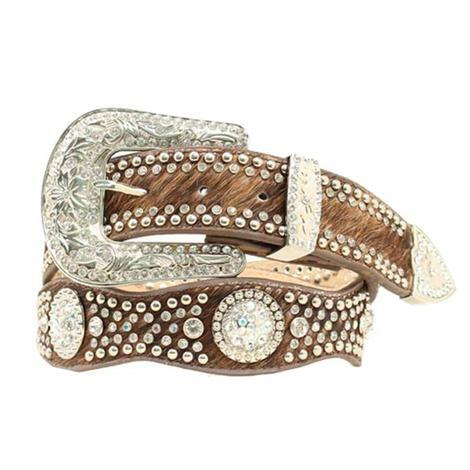 Designed to shine and accentuate what is already beautiful, the Angel Ranch Blue Roan Hair and Antique Stud belt features twinkling crystals on a light roan haired base. 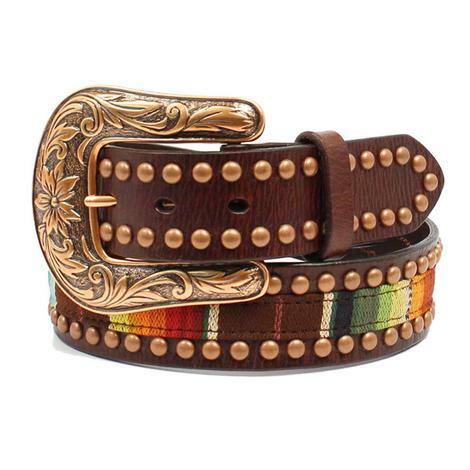 This belt has fair and eloquent appeal.